The basic Dupont formula breaks down the ROE into three components. The Net profit margin and Total asset turnover measure the operating efficiency of the company, therefore the larger these numbers, the better it is in terms of investment. Financial leverage measures the financing activities of the company. The higher the financial leverage, the bigger the risk of default by the company. The high financial leverage impacts the Net income of the company and hence leading to a negative ROE. Now that we understood Basic Dupont model, let us now discuss the extended 5 stage Dupont formula. The basic Dupont formula does not include the tax effect and interest burden on the Net income of the company hence gives a vague picture of the profitability. 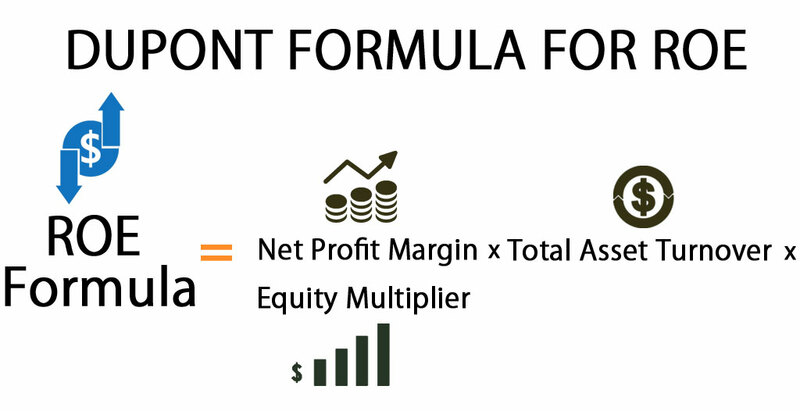 Therefore, the extended 5 stage Dupont formula is used to determine the complete picture of the profitability of the company. The 5 stage Dupont formula is just an extended version of the basic formula. Here we multiply the ROE with two additional ratios EBT/EBIT and EBIT/Revenue. The ROE based on simple Dupont calculation is 12.50%. However, this does not give us a clear picture of what contributes to the increase in the number. The ROE based on 5 – stage Dupont calculation is also 12.50%, however, now we know that the ROE is largely contributed by the Net profit margin. 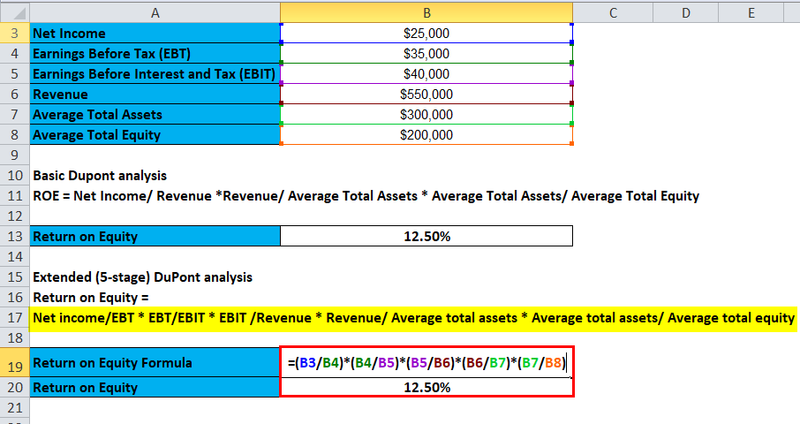 The excel template has been designed for you to practice the Dupont calculation. Please input the figures, and analyze the contribution of each component’s impact on the ROE. Dupont corporation introduced the model called Dupont analysis in 1920, that provides a detailed analysis of the profitability of the company. Dupont formula breaks down the ROE of the company, in order to determine the actual reason behind the increase/decrease, so that misleading conclusions about the profitability of the business are avoided. According to Dupont analysis model, the ROE is driven by three metrics: Operating efficiency, Asset use efficiency, and Financial leverage of the company. The Net profit margin measures the operating efficiency of the company. Total asset turnover measures the Asset use efficiency. Financial leverage measures the amount of financial leverage used by the company. Operating efficiency is characterized by net profit margin or net income divided by average shareholders’ equity. Asset use efficiency is measured by total asset turnover or the asset turnover ratio. Lastly, financial leverage is examined through the observation of changes in the equity multiplier. Every investor has to conduct a certain analysis before making the investment. The one important metric to do so is Dupont analysis. DuPont formula helps investors gauge the operating efficiency and financial leverage of the company. By measuring the operating efficiency, investors can build an opinion on how well the company is utilizing its resources to generate revenues, and the financial leverage helps the investor find out how leveraged the company is. Dupont analysis overcomes the limitation of ROE analysis. While ROE measures how much return an investor is getting on the equity, it doesn’t indicate how well the company is operationally efficient and financially leveraged. This is where Dupont analysis helps to get a complete picture of the performance of the company. While many metrics are complicated in its usage and calculation, Dupont formula is a simple calculation and requires an investor to go through the Income statement, Balance sheet, and Shareholder’s equity statement. The following figures have been extracted from the Income statement and Balance sheet of Reliance industries ltd. The first component of the formula is the profit margin. If you observe the above calculation, the profit margin stands at 11.27%. 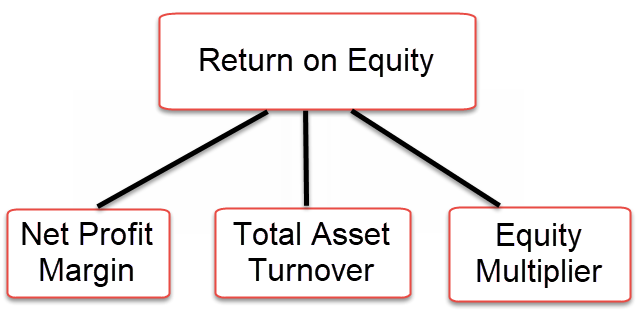 The second component of the formula is Asset turnover. As shown in the above calculation, the Asset turnover stands at 48.30%. If you observe the above calculation, you will notice that a simple ROE calculation would not have given you a clear picture of the performance of the company. The calculation made more sense after we broke down the performance of the company into Operational efficiency, Asset turnover, and Financial Leverage. This explains the significance of Dupont analysis. It not only helps you identify the Return on Equity but also identifies the factors that contributed to the increase/decrease of the ROE, thereby helping in more detailed investment analysis of the company you are evaluating. Here we will do the same example of the DuPont Formula in Excel. It is very easy and simple. You can easily calculate the DuPont using Formula in the template provided.